I received The Gilded Wolves as an ARC and my plan to read it by the end of December didn’t exactly come to fruition. As the release day is 15th January 2019 (and I needed to actually read it) it meant that this was on my list to become book numero uno for 2019. But as it turns out I am a massive mood reader and because I wasn’t in The Mood I ended up opening something that was on my 2018 TBR instead. As I’m debating whether or not to do reviews for every book I read I don’t know if I’ll do a full review on this one or a recap in my end of month wrap up post. Just in case you are burning to know – I gave it 3 stars BUT those 3 stars wobbled between a 2 and a 3. I’m not worried because I don’t think there’s a curse that if the first book of the year is ‘meh’ that there will be an overall negative reading experience for the rest the year. 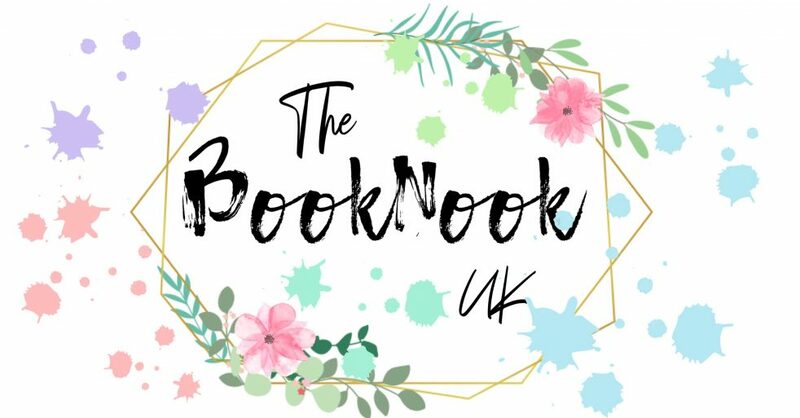 Daniela @ Bookiverse has continued her Blogging Beast Strategic Plan with this weeks post being all about vision and prepping. May @ Forever and Everly has wrapped up her 2018 with The End of Year Book Survey and it is mega and contains all levels stats and graphs and things that make my mouth water. Krysta @ Pages Unbound has done an awesome recommendation list on the Ten YA Books to Look Forward to in 2019. Finally I feel its time to tell you about my addiction to my bullet journal. Ok, it’s not an addiction I just need it in order to survive and use it every day. Wait…. is that an addition or organisation?? 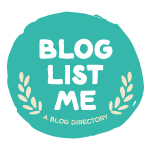 If you’re thinking of starting a BuJo (I think that’s what the cool kids call it) or if you have one and are looking for ideas then may I direct you to Charleigh @ Charleigh Writes, Jenna @ Bookmark Your Thoughts and Lori @ Beyond Betwined Reads who have shared their inspiration and journal plans for 2019! Mood reading strikes again! Bummer on TKAK, although from my friend’s reviews it seems to be pretty polarizing. I still need to read it sooner or later, haha. I didn’t realise I was such a mood reader until recently! I really struggled between a 2 and a 3 but then I think I’m unusually picky and part of me is beginning to wonder if I’m expecting too much from YA fantasy but I still really love it. It’s probably not going to be the read of your life! Well, it might be but I doubt it! I would be so curious to hear your thoughts on Gilded Wolves! That cover is gorgeous, and I don’t know if I should buy into the hype or not. Also, I personally believe you of all people should do full reviews (because I desperately depend on them for guidance lol), but I do get you with 3 star reads. They’re the worst to write reviews for because your feelings on them are just “meh.” Doesn’t exactly muster up the most enthusiasm to write, does it? Ah! I actually posted my review on Gilded Wolves yesterday! The cover is such a stunner and the description sounded amazing but unfortunately I only gave it 2 stars. I’ve read so many 3’s where I just don’t have to the capacity to say anything other then – yeah it was good. It doesn’t mean I didn’t like it because I usually really enjoy those ones but it’s a bit like rating a Nando’s. TKAK for me isn’t one I would go out of my way to recommend, I could probably sum up what happens in a paragraph! Oh no no no. That’s such a shame. I love Labyrinth (are we talking the movie here??) and anything that is similar I am here for but no. None of that sounds good, bummer. Will you doa review? Yup, the movie! I can’t remember if you’ve read Wintersong? I heard it’s also kind of similar to Labyrinth. And the review’s partially written but I still don’t have the best time writing reviews that go “Yeah, um, nothing really happens in this book and I have no strong feelings about it one way or the other…THE END.” Sigh. I have Wintersong but I haven’t read it yet! I know there’s a Goblin King involved so I’m quite excited for it but I’ve heard very mixed things about how good it actually is. Thanks for this post! I want to get into bullet journaling because I see so many beautiful ideas and more linked here. I don’t think you are cursed. What a terrible thing it would be to read only ‘meh’ books all year just because the first one was. Luckily I really enjoyed the book I read after To Kill a Kingdom so I think it was just a lukewarm start! Firstly, I definitely don’t believe you’ll be cursed reading wise…though I’ve definitely had those thoughts before ha-ha!! I always get worried that if I start bad then I’m DOOMED! Secondly, thank you so much for the shout out (and for showing me other people who do bullet journal posts)! You’re such a sweetheart! I REALLY want to focus on Bullet Journal posts this year. Again, thank you! You’re such a sweetheart. I hope not! I’m trying to appease the reading faeries into making sure I’m not cursed 😛 I think I’m just very picky more than anything! Oooh I’ve not heard of that one, I’ll have to take a look! Glad you liked it though, it’s nice to get off to a good start for the year!